Are your current women's boots guarding your feet how you need them to? Have you recently stubbed your toe, cursed loud enough for all of your co-workers to hear, and wanted to call it quits? If so, perhaps your work footwear needs an upgrade. 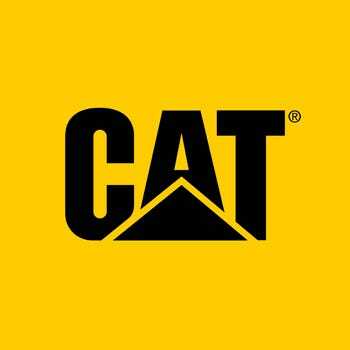 These Caterpillar Wom ... (see full details) (see specifications) #CTP90563. Are your current women's boots guarding your feet how you need them to? Have you recently stubbed your toe, cursed loud enough for all of your co-workers to hear, and wanted to call it quits? If so, perhaps your work footwear needs an upgrade. These Caterpillar Women's 90563 Steel Toe Brown Much Jace EH Boots have the safety features your feet need to keep you from hurting - and swearing. The steel toes are strong enough to defend your feet against impacts and compressions, so your toes will stay guarded around rolling and falling objects on the jobsite. You'll also have electrical hazard protection with these Caterpillar boots, so you'll stay safe around open circuits as well. The durable outsoles are made out of a material that absorbs electrical shocks so your body doesn't have to. These soles also provide you with SRX extreme slip-resistance. We're not saying you curse like a sailor, but when you've wiped out in the past, you've let certain words fly. This excellent traction on the bottoms of the women's boots will keep you upright more often than before. Cement + Goodyear welt construction is the chosen way of building these steel toe boots, and it's a great choice. You'll have long-lasting brown boots that you can depend on for your work days. The rugged soles can be replaced easily (if needed), thanks to this type of construction. It involves stitching the uppers to the soles, so they can be simply removed and replaced, as long as the uppers remain sound. The interiors of the slip-resistant boots have Nylex sock liners and nylon mesh lining for breathability, while the split suede and wool uppers fend off abrasions. The Jace Mulch brown color of the exteriors helps dirt and mud blend in. You don't have time to mess around with cleaning your women's footwear - you're too busy! iTechnology construction combines the durability of work footwear with the comfort of athletic shoes, so your feet will have all-day comfort. Make sure you're giving your feet the right kind of coverage by ordering a pair of the Caterpillar Women's 90563 Brown Mulch Jace EH Safety Toe Boots from Working Person's Store. I had these in black to start with, then went back the next year and bought the brown pair as well. I get so many compliments on the brown; the charcoal fabric and the blue threading add a nice touch. These are amazingly comfortable and so easy to take on and off. True to size. I ordered a pair of boots that online said that they would arrive next week. I called today to see if they had a better estimate of time and if the order would be filled. So i decided to call customer service and spoke with Andrea who was great!! I hear that my package is in transit and will be here on Friday! Talk about excellent customer service and not having to wait til February. I will definitely order from them again and recommend this site for great prices, products and customer service!! Thank you so much, Working Persons! Caterpillar Boots: Women's 90563 Steel Toe Brown EH Work Boots is being added to your cart.